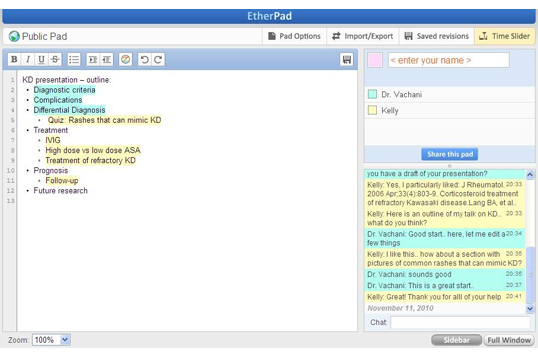 TitanPad is a free tool for collaborative writing on a single document. It is simple and easy to use and requires no sign in or login to create a public document., You can create a private document with a free account. It is similar to Google Docs, but much simpler. Up to 8 people can work on a single document at the same time, with their edits being color coded. You can also import and export text to and from TitanPad. This can be very useful in education for quick collaboration sessions in the classroom or meetings.